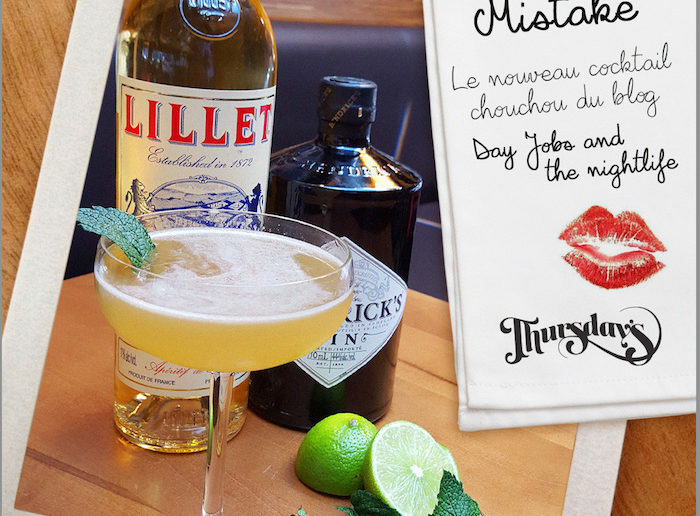 So at long last there’s a Montreal cocktail named after me; well, sort of. I’m surprised this hasn’t happened sooner as I do more bar and restaurant hopping than anyone else I know. Without drawing this out too long, here’s the scoop. 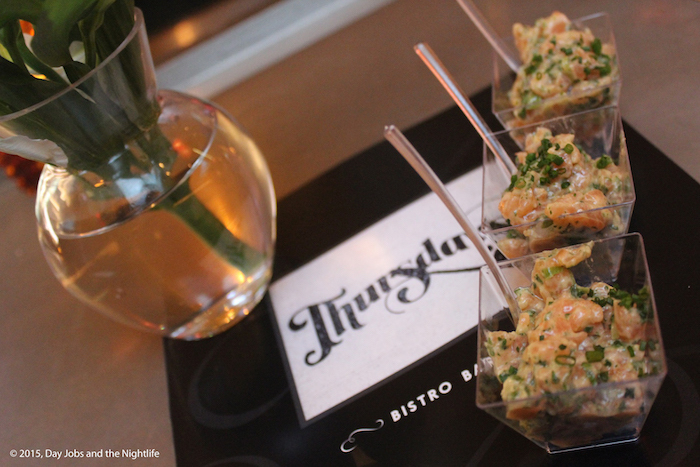 It was a rainy Tuesday night and we were at Thursday’s for a media event. They were showing us around the newly renovated bistro, bar and restaurant (read about that here), starting with the elegant top floor bistro. The restaurant is outstandingly beautiful and the media event started at the bar with a few canapés to sample the food. Because Montrealer’s lose their minds when it rains, traffic around the city was gridlocked and I was about an hour late for the event. When I showed up my photographer was seated at the bar and chatting with the PR rep. Having come in from the rain, I shook myself off and pulled into the bar where I devoured a sample of beef tartare, I was starving. The bartender, who also happens to be one of the owners filled me in a a little contest they were having for us media types. They had concocted a cocktail featuring six ingredients and if we guessed the ingredients we could name the cocktail. For one whole month, that cocktail would be featured on the bar’s regular menu. Being my usual overconfident self I took a swig from the cocktail and took a swing and what the ingredients could be. I got four out of six ingredients right. There was no persuading the staff to let me name the cocktail anyway and that’s when my photographer spoke up and asked to list the ingredients himself. Being a true cocktail whisperer he guessed all six ingredients after only a couple of quick sips. The name he chose was a dig a my failure. Yes, you guessed it, he named it Blair’s Mistake. Homemade honey and pepper syrup, lime juice, Hendricks gin, Lillet, mint leaves and cardamom. There was one other writer who got the ingredients right and as of November, the cocktail will adopt that winning name. 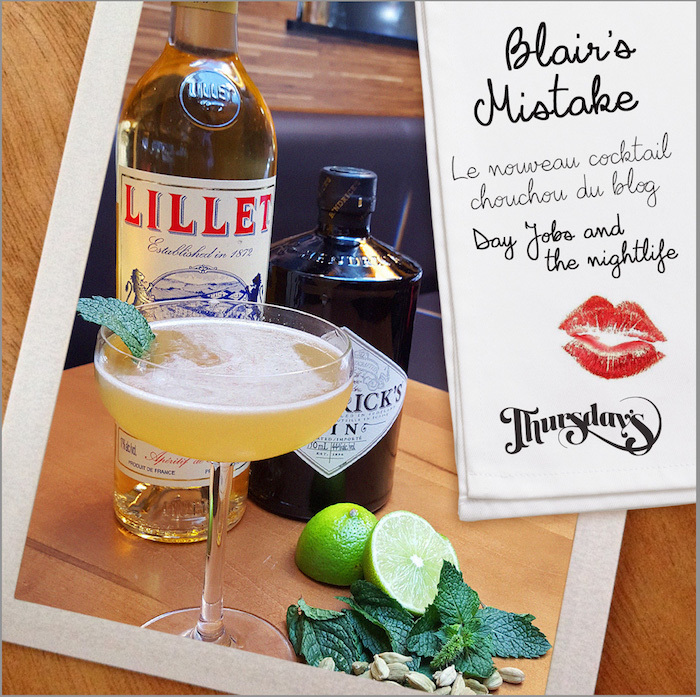 Until the end of October you can drop into Thursday’s upstairs bistro and enjoy Blair’s Mistake. It tastes as good or better than most of my mistakes combined.